On Tuesday, 6 November, the Government of Grenada hosted the opening cocktail party for the Green Climate Fund Structured Dialogues for the Caribbean Region, at the Radisson’s Oasis pavilion. 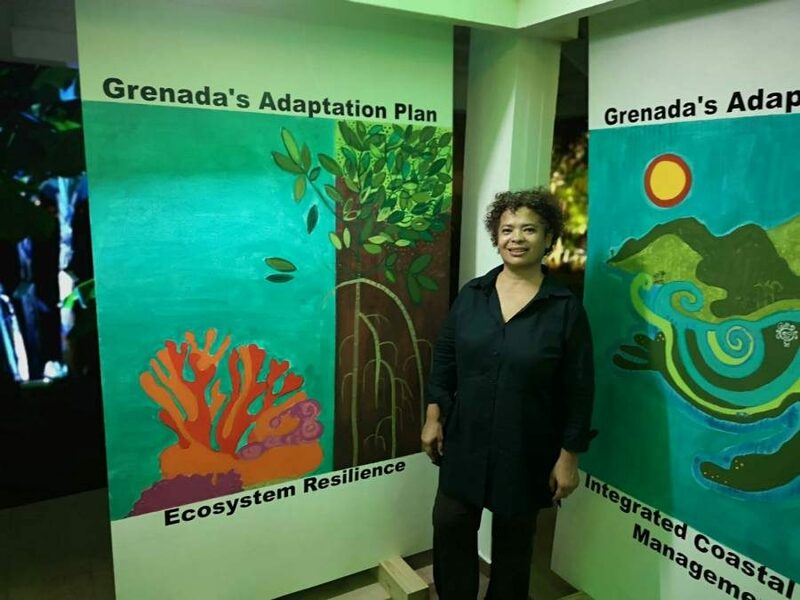 At the cocktail, eleven murals created by local artist Suelin Low Chew Tung showcased the activities planned by Grenada to increase its resilience under the National Adaptation Plan. 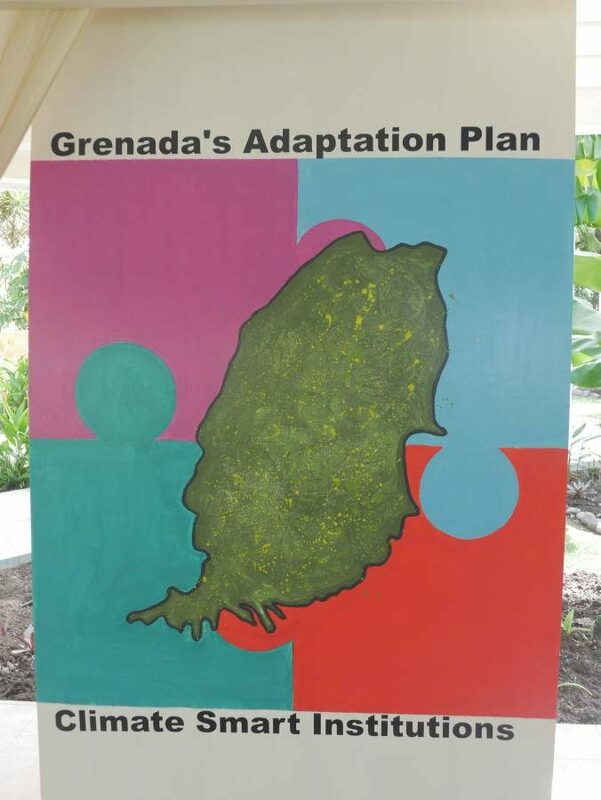 Climate Change calls for major adaptation programmes to be implanted in Grenada to increase the nation’s resilience to climate change. 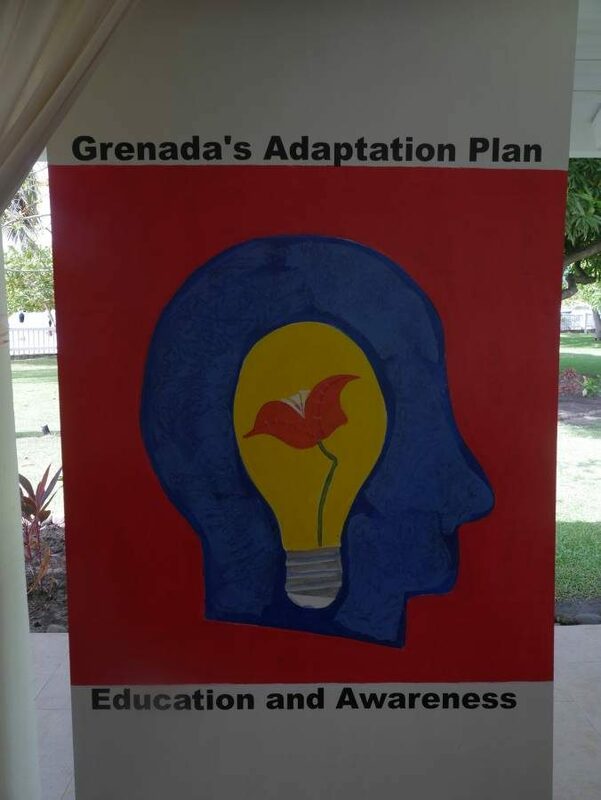 Grenada developed a National Climate Change Policy and a National Adaptation Plan which proposes 12 Programmes of Action (with objectives such as Water availability, Food security, Ecosystem resilience, Integrated coastal zone management, Resilient infrastructure and sustainable land management, Disaster risk reduction and disease prevention, Climate and sea-level rise data and projections, Sustained public education, etc). The plan 2017-2021 was approved by Cabinet in November 2017, and it contains Programmes of Actions or guidelines for projects to be written and developed, and climate finance to be raised for the financing of these project. Renewable Energy and Energy Efficiency (Solar panel, green building and red bus). The audience consisted of Grenada government ministers, representatives from regional governments with responsibility for climate change, and international funding and implementation agencies specialised in climate change. The artist considers art to be an environmentally and consumer-friendly way to bring across the message of what is needed to be done to transition climate change, and increase the region’s resilience. She thanked Magali Bongrand-Henry, Communication Specialist with Deutsche Gesellschaft für Internationale Zusammenarbeit (GIZ) GmbH for the opportunity to connect art with sustainability by creating the panels. 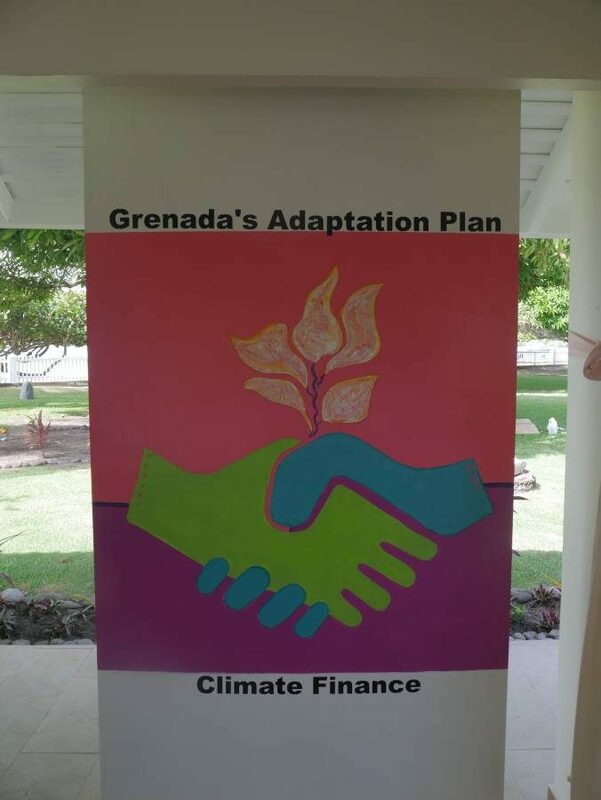 The 2018 Green Climate Fund Structured Dialogues for the Caribbean Region is being held from 6-9 November in Grenada, as a platform for regional states to present their projects for climate change adaptation and mitigation, and for Grenada to engage with the representatives of GCF and implementing agencies about potential projects that need development and finance in its Climate Change Adaptation Pathway.